Earlier this fall, Neil Kelly’s award-winning design team hosted a series of Remodeling Inspiration Events at design centers in Bend, Seattle, Portland and Lake Oswego. 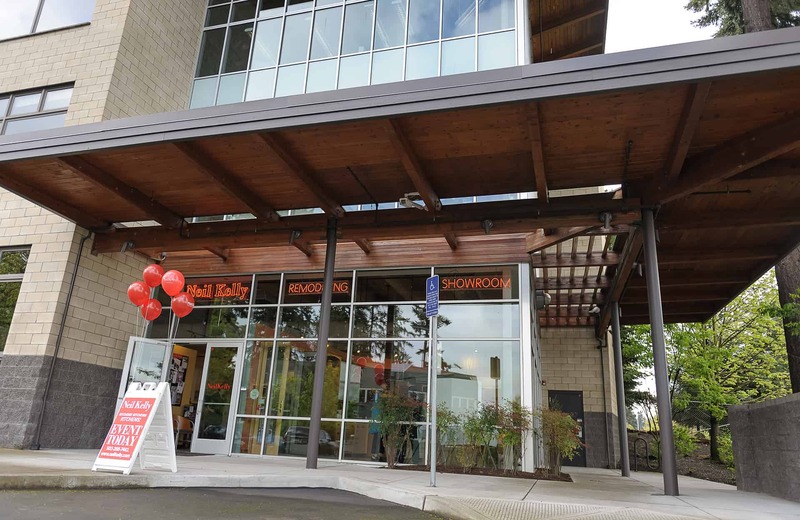 The event series included a Kitchen Fair on September 24, a Bath Fair on October 1, and a Home Fair on October 8 (Portland and Lake Oswego locations only). Guests enjoyed cooking and product demonstrations, engaged in design workshops, and participated in round table discussions with Neil Kelly designers and participating product experts. Event attendees were charged $10 admission in advance of the events and $20 at the door. 100% of the collected event proceeds were donated to Habitat for Humanity, and Neil Kelly donated an additional $10 for each previous client and guest that attended the events. The total donation to Habitat for Humanity was just over $1700. The event series was sponsored by KOHLER, Keller Supply and Blanco. Local event sponsors included BASCO Builders Appliance Supply Company, Lemelson Vineyards and Stoller Family Estate from Portland; Newport Market, the Pine Tavern and Johnson Brothers Appliances from Bend; Cinq Cellars, The Sliding Door Company, Albert Lee Appliances, Statements Tile from Seattle. A similar event series is planned for early 2017. ← What’s Going On With Your Roof?